Features: Steel lock body with laminated case. Sliding key hole cover to prevent dust build up. Bump, pick and drill resistant cylinder. 5 pin cylinder. Hardened steel shackle protects against saw and bolt-cutter attack. 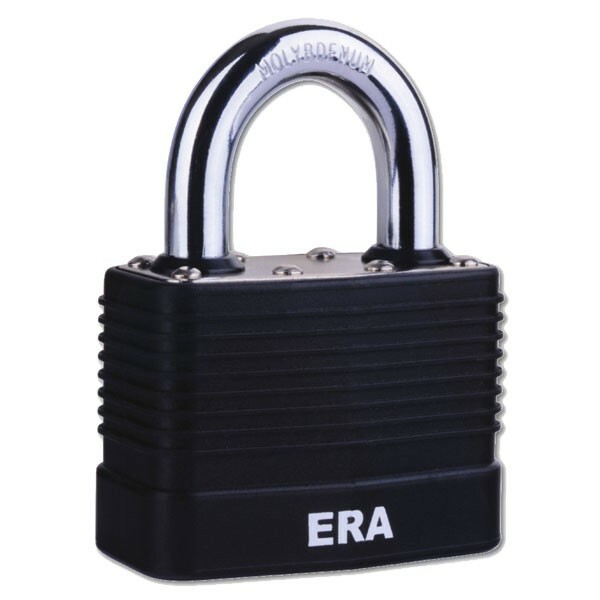 Dual stainless steel ball bearing lock mechanism for improved resistance against pull attacks.